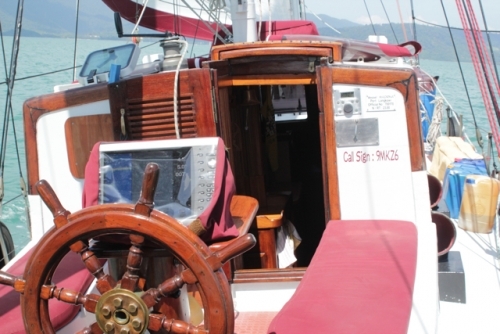 "Madrina" was built in Nelson, NZ, in 1972 by A.B. van Vugt of Corten Steel and is NZ registered. New steel deck in 2009 refit. 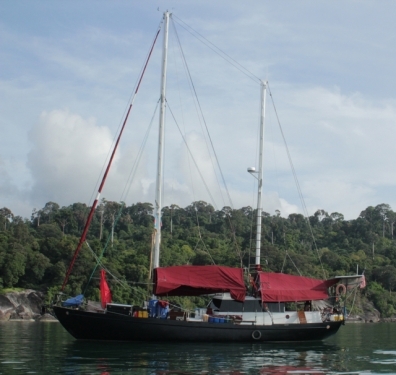 Has Perkins 6354-3 Marine Diesel engine, 120 hp, 6 cylinder. Can motor for 1000 nm @ 5 kn, max 8 kn. Can easily be sailed single-handed. Comes with all essential tools and spares you need to maintain it, plus lots of extra paint, oils, and lubricants. 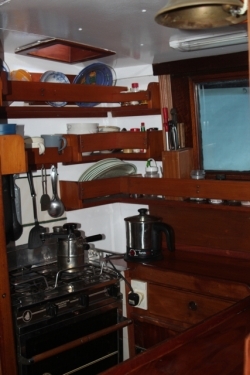 Galley is totally supplied with all cooking equipment, dishes, cutlery, and utensils. Has new Microwave oven and 2-burner Broadwater Marine Stove with oven. Cabins and saloon newly upholstered open-cell marine foam cushions and mattresses. New LG flat-screen TV and Marine Sony stereo, CD player. 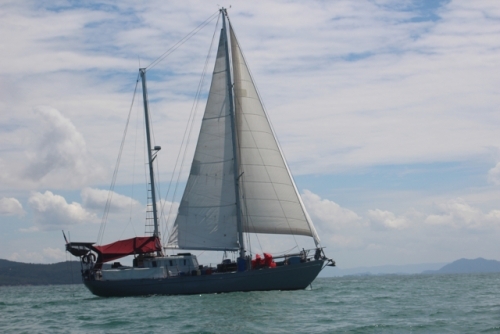 Recent refits include new Garmin 4012 Chartplotter/Radar, Simrad AP24 Autopilot, extensive custom sewn Sunbrella sail covers and awnings, new electric toilet and shower, anti-fouling, new interior woodwork and galley counter, new generator.Newly rebuilt Stella Systems watermaker. 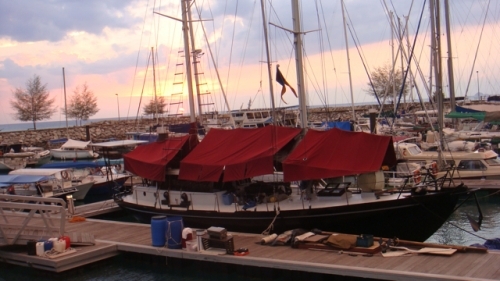 Length 16.15 m Beam 4 .19 m Draught 2.19 m A complete list of equipment may be emailed to you on request. Boat is at Sulphur Point Marina, Tauranga. New anti-fouling, new hull paint, new top deck paint, new interior paint, new zincs, engine overhaul, are all part of current refit underway. Hope to be in the water within the month of Jan.